If you're still groggy because you just got up in the morning, you might not have noticed that the HTC One mini has been officially unveiled by Taiwan based HTC. No surprise really after weeks of leaks, the mini offers just about everything its older and larger brother brings to the table, just in a more bite-sized package. Whereas the HTC One has the highest pixel density in the industry at 468ppi, the mini's use of a 720 x 1280 resolution results in a lower (but still more than passable) 342ppi despite the smaller glass. And to keep things affordable, the IR blaster didn't make the cut. 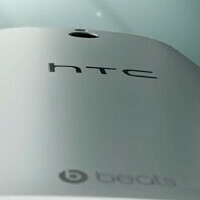 Actually, the first official video by HTC to celebrate the birth of the HTC One mini, shows off some of the features that are on both the HTC One and the smaller sibling. For example, the aluminum uni-body on the mini gives you the same feeling of durability that you get from holding the full-sized unit. Blink Feed remains on the device, passing along the latest from your social networks and other feeds. Zoe is back, making 30 second highlights automatically from your gallery. And while the Optical Image Stabilization is gone, there still is the UltraPixel camera on back and the BoomSound stereo speakers in front. For those who feel that the HTC One and its 4.7 inch screen is too much to handle, the HTC One mini and its 4.3 inch display is now here. Check out HTC's first official video of the device, below. i see some childish effects on the video ad. other than that, the htc one mini is a +1 for me. That polycarbonate ring/bumper around the phone gives it a slightly less premium look than the original to me.